Someone told me of this book being out in August – I am not sure if it is for re-release, but I thought it sounded interesting. WINNER OF THE 2013 IRISH WRITERS CENTRE NOVEL FAIR. “An enjoyable, timely and easy read. Vivid pictures of life at the time, told with an innate human sympathy.” Senator David Norris Joycean scholar and human rights activist. An historical family saga of love, loss, loyalty and resilience, which examines the effects of war on an ordinary family. 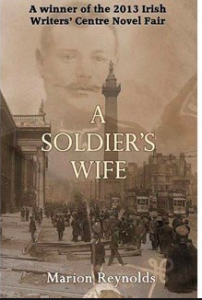 Ellen marries James, a sergeant in the Connaught Rangers and they travel to India. A tragedy occurs on the journey which almost destroys their idyll. They lead a glamorous, indolent life in India for seven years. They return in 1912 to a Dublin that is rife with civil and political unrest. James volunteers for WW1, leaving Ellen to bring up three children alone in a city that is becoming increasingly hostile. James returns home, traumatised, in 1919 to find Ellen has become a strong, independent woman. Her children are nationalists, creating conflict with James. Ellen finds herself torn between two loyalties. She gently encourages him back into his relationship with the family while they weather the devastation of the War of Independence and the Civil War. Together, they witness the final withdrawal of British troops. Her husband, his military medals worn proudly, watches as their son, a member of the Free State Army raises the Tricolour. The family have divided loyalties but are united by love. As a child Saoirse Corcoran was rejected. As an adult she is sought out by strangers. The reason for both is the same – her power. 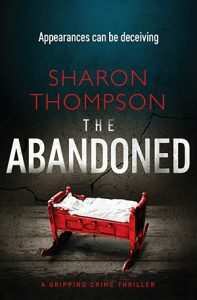 Born in the mid-sixties to a mother who desperately wanted to keep her but couldn’t, put in an institutional crib and situation, she is visited by a guiding force who she will come to know in future days, who protects a baby born to survive inhuman treatment in a staunch Catholic society, and to change it with the strength of her life experience. Saoirse’s mother Maisie, sleeps in a different part of St. Patrick’s Mother and Baby Home, sharing a collective sorrow that will haunt and mark Ireland’s social history. 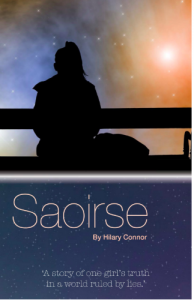 Saoirse is set apart from the beginning – marked with a psychic gift which serves as her greatest ally and strength against coming judgement and condemnation. When Lil and Joe Corcoran adopt her, she is four months old with and ancient soul. There is the hope of happy ever after. At first, their love is unconditional, but then the deeper aspect of her nature triggers their great fear. They reject her abilities, forcing her back into another convent, run by St. Agnes, who sees and treats Saoirse as evil. Saoirse holds onto the truth that love is the only property to heal an emotionally enslaved, repressed Ireland. Her friendships give her hope. Her family become her greatest teachers. The search for her identity centres on her first shared sorrow, separated only by walls, a mother and her child who felt each other’s presence. On a harrowing journey, Saoirse is drawn to the deepest bond of all which is still a mystery. She moves to re-unite, to find out who Maisie was and finds out more than who her mother was. She discovers what she knew all along, from the moment she was born. Her gift came from somewhere unknown and now returns to claim its source. She learns the name and nature of the presence that guarded her lonely crib. 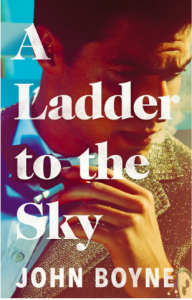 Please let me know if you have an Irish book release in September (or any month in the rest of this year) Thank you. All the best to all releases. Of course my own book is still available! And is now released as an audio book!! The Abandoned.